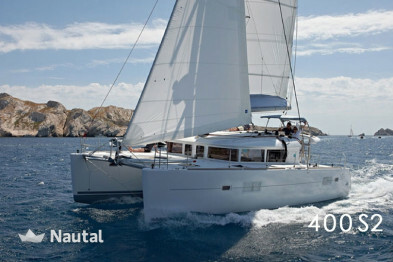 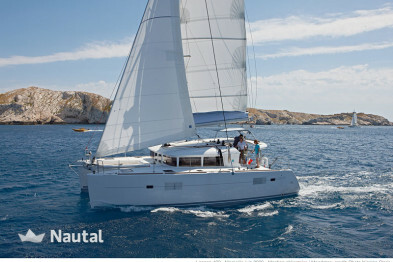 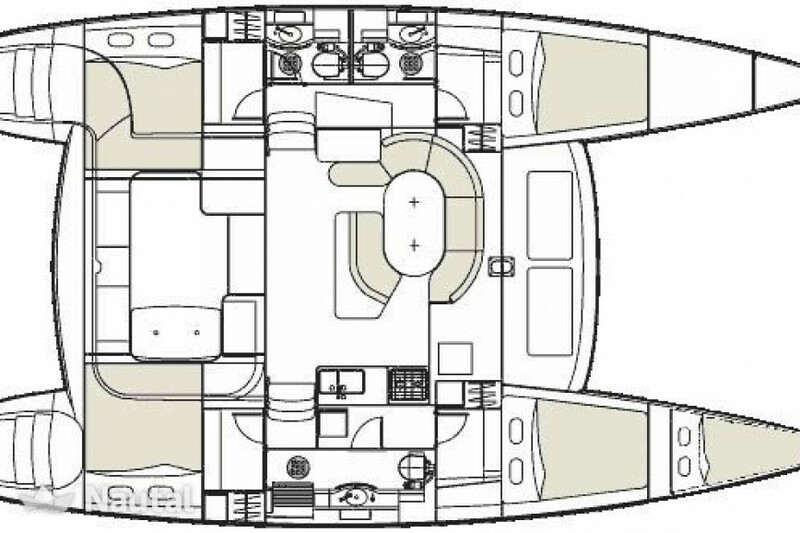 Rent this catamaran Lagoon 410 in Sardinia from Marina di Portisco, Olbia! 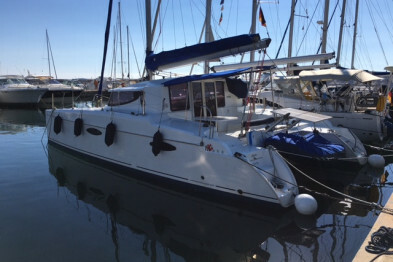 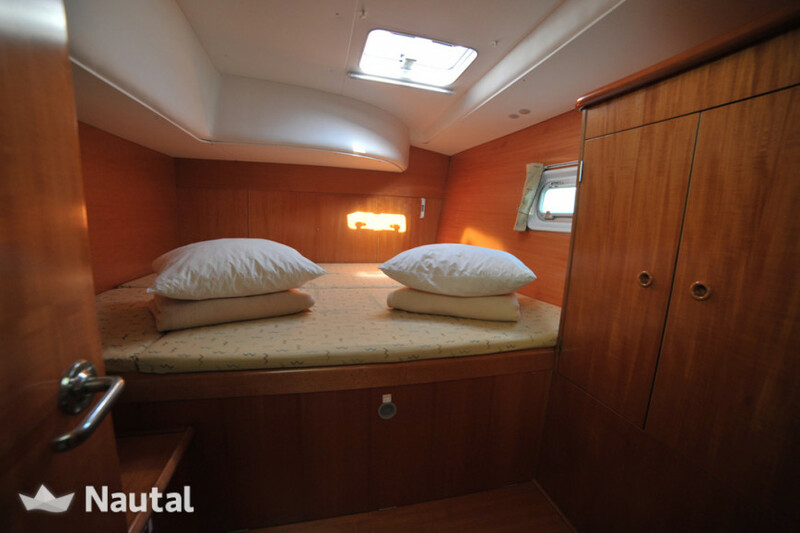 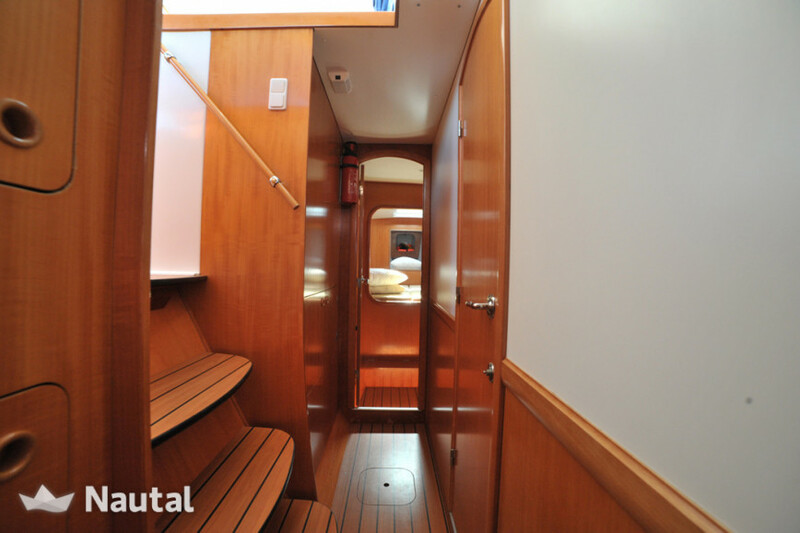 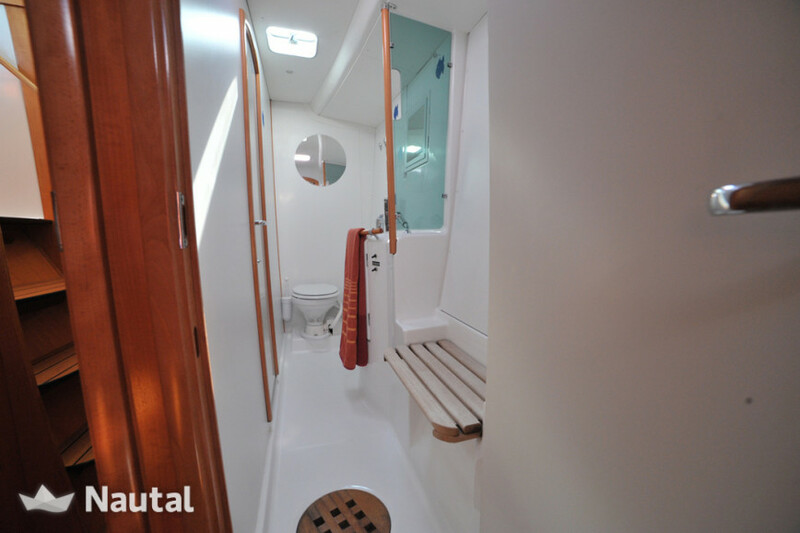 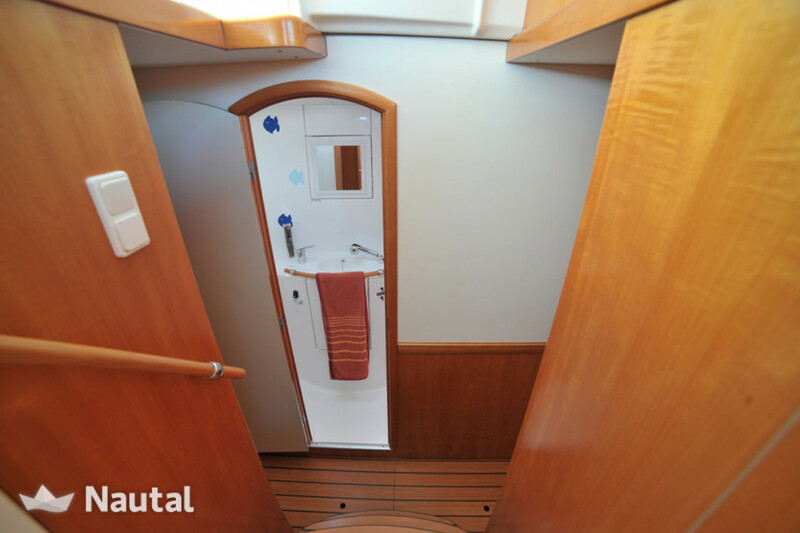 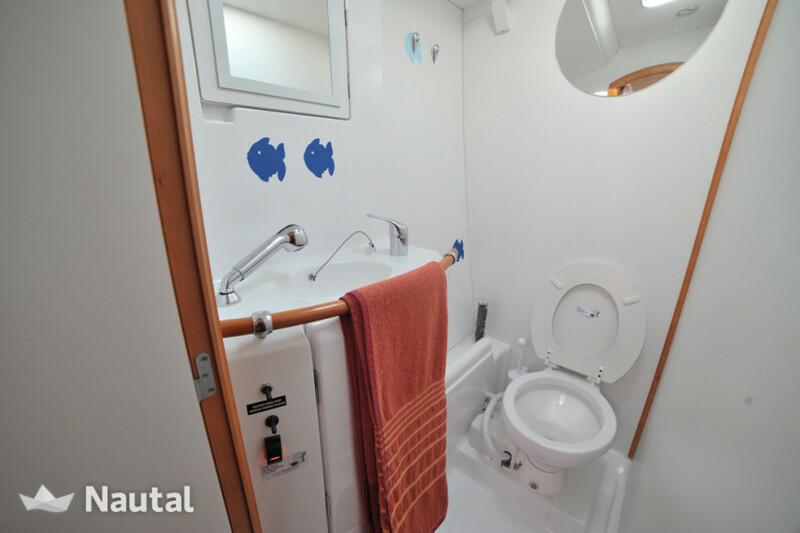 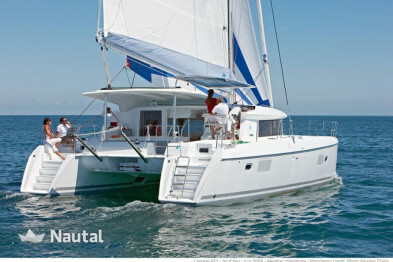 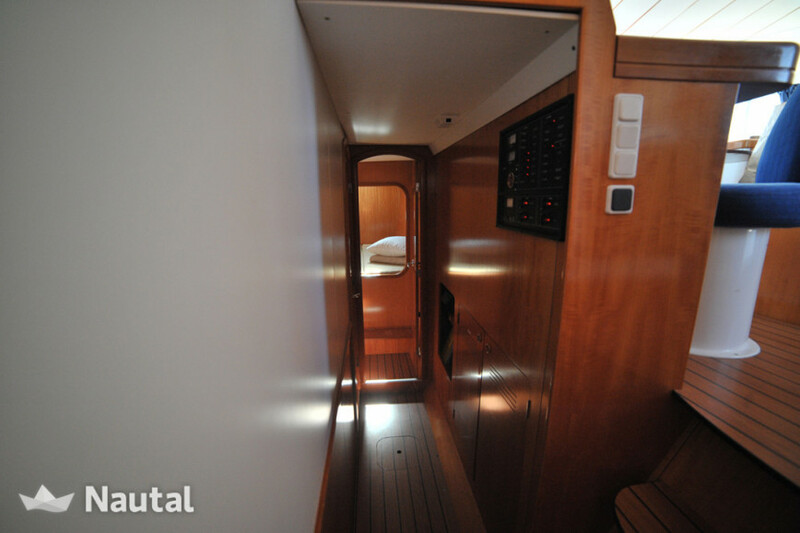 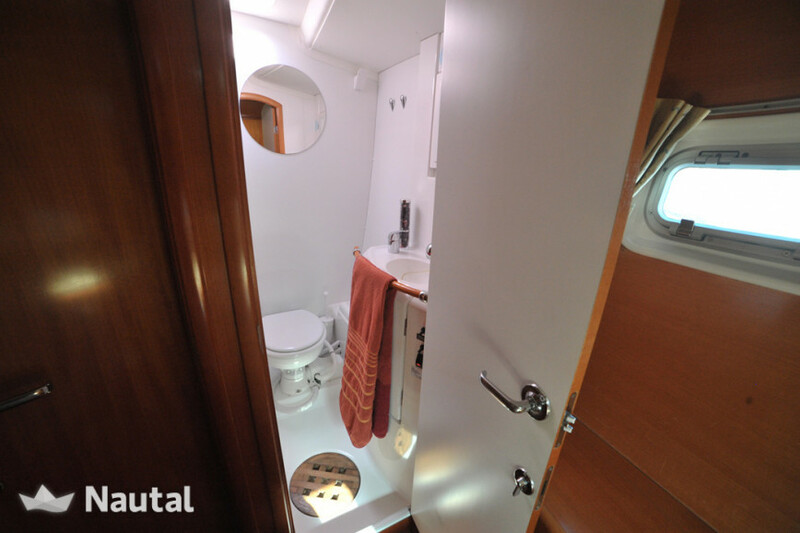 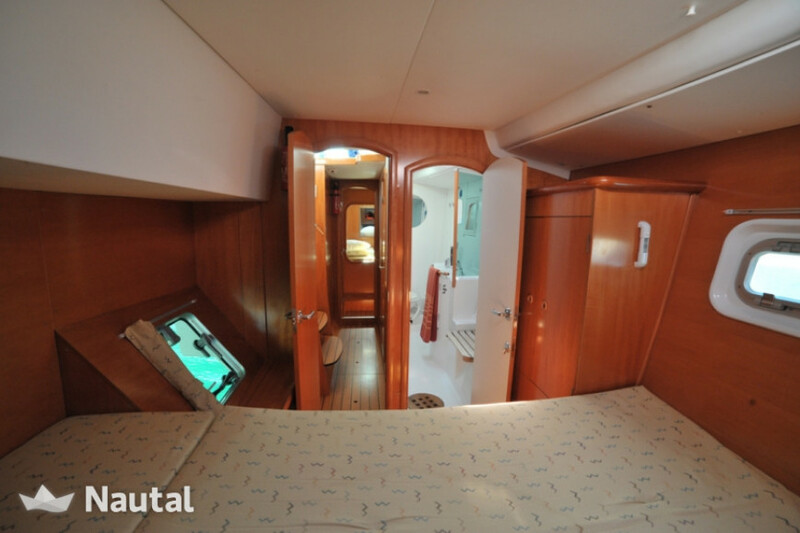 Catamaran 12.37 m long in Marina di Portisco, suitable for up to 10 people. 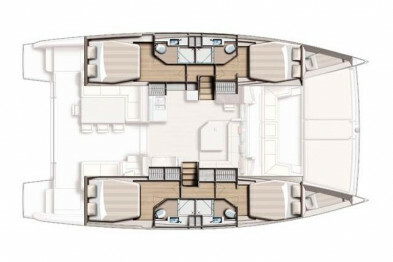 There are 4 cabins and 3 bathrooms. 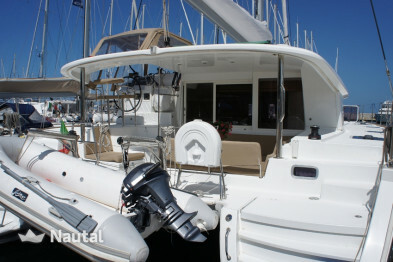 The engine is 2 each delivers a power of 28cv. 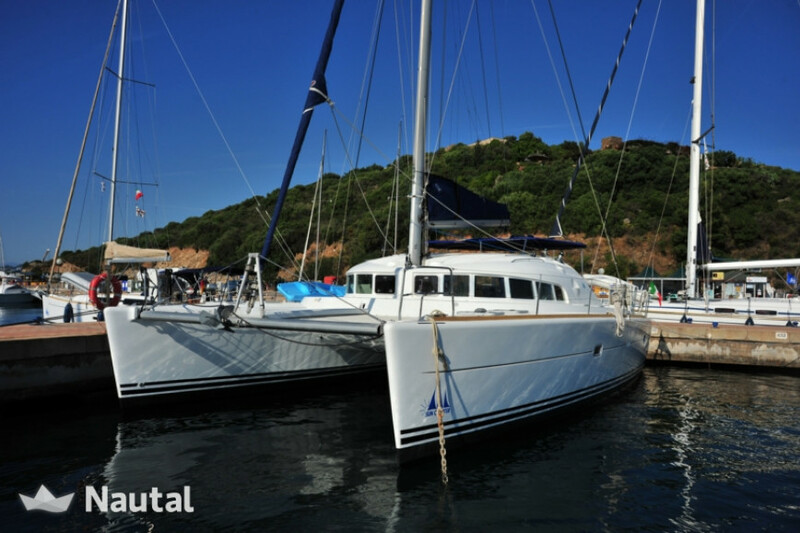 Sail from Marina di Portisco aboard this sailboat and enjoy a fantastic holiday with friends. 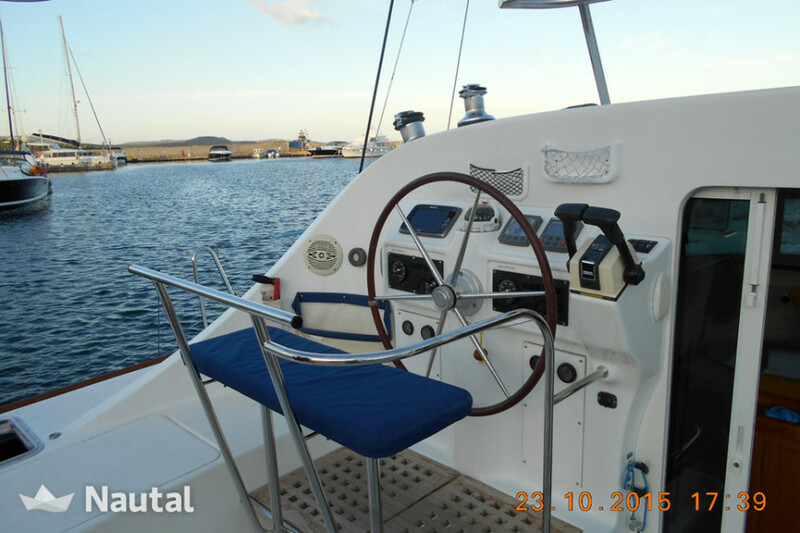 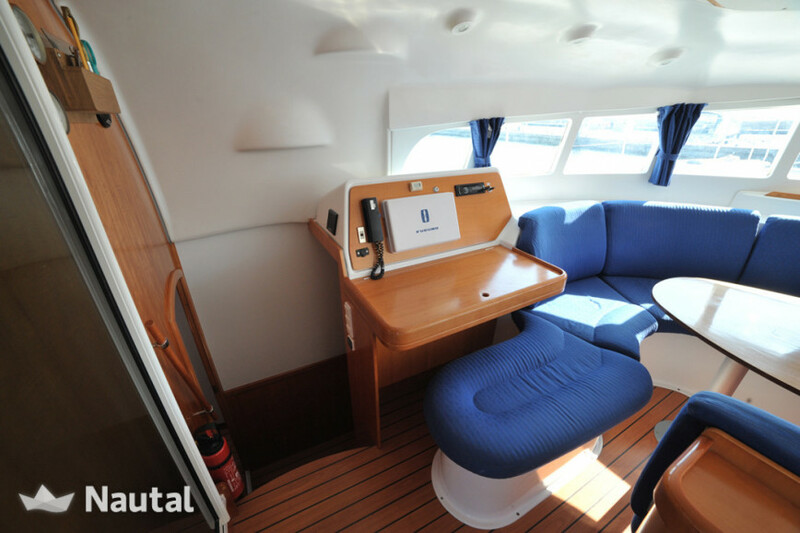 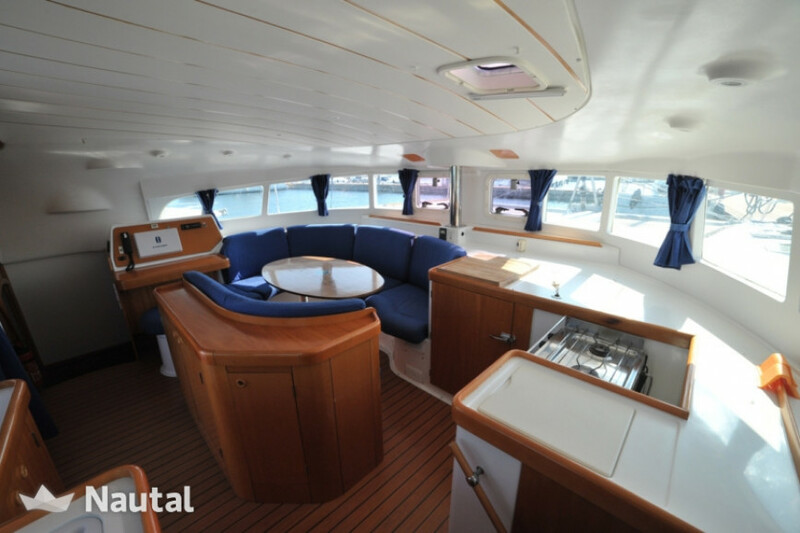 The on-board equipment consists of the following elements: battened mainsail, furling (Roll) Genoa, lazy bag, lazy jack, autopilot, chart plotter, GPS, port guides, VHF radio, wind instruments, CD player, 12/220 inverter V, set of tools, emergency signs, fire extinguisher, first aid kit, life buoy, life jackets, life raft, radar reflector, safety belts, bimini top, half sailor, cockpit cushions, electric windlass, rudder reserve , electric cable (220V), more respect, spray hood, steering wheel, teak deck, tender, blankets, pillows, hot water and refrigerator. 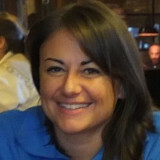 Anything else you would like to tell Roberta?